A truth teller, mental energies gather and circulate in positive harmony, delivers lyricism with imaginative storytelling. A former U.S. Marine, his voice booms with authority while varying cadences and double entendre. Megaciph steadily drops ear-candy jewels of truth for the audience. Every word is carefully placed and every line is meant to elevate the consciousness of his listening audience. 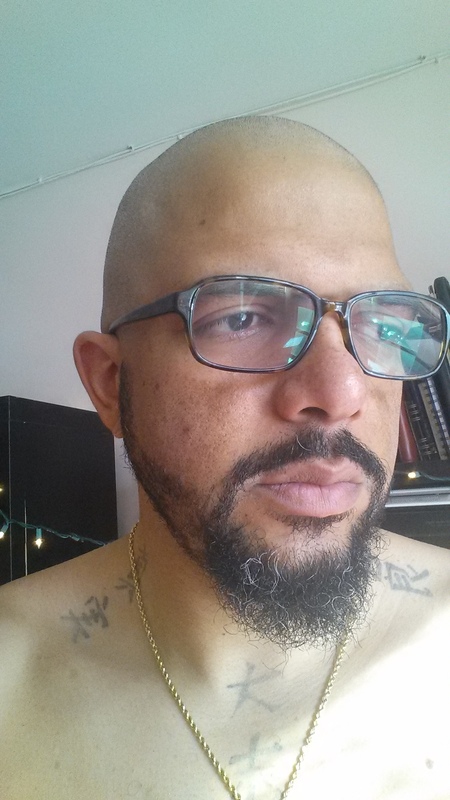 Megaciph is a socially conscious writer, a practitioner in the craft of freestyle and a social entrepreneur. In 2003 Megaciph recorded on his first full length album, First Orbit, with the Atlanta based band The Twelfth Planet. In 2006 he self published his first solo album, The Graduate Program. The following year, while living in NY, he commuted between NY and Atlanta to perform with Aqua-Fi Project; the three member group made it to the Atlanta finals of the international Emergenza festival competitions. And In 2011 he self published his sophomore solo album, Migration of the Soul’d Kind. From November 2010 until March 2013 Megaciph founded and hosted The Vital Movement; a weekly open mic/concert event that provides independent artists with a viable community for sharing their art. Megaciph’s passion and continued work in the belief that music and art can holistically improve our lives and our world, is evident in both his daily life and his writing. He holds a minor in Music Management, 2006, from Georgia State University and a Master’s in nonprofit management, 2010, from The New School University. He is the founder of ThatsGoodness Entertainment; a not for profit record label with a focus on human rights, incorporated in NYS in 2010. When words cannot capture moments sprinting off/I hit the course running this grass is soft/tall blades cutting ankles gutting my insides/something stinks and forgotten ills reside/deep within the bowels of hurt pride/the gurney is tied but not tight enough/injured bodies still drop from higher than trumps/golden towers with thumps go bump in the night/it was never the same nothing is all right/fragile from a life of fight or flight/mishandled misled and kept from the light/in the heart of darkness stark is the plight/when where milk and honey flow to the select/how why so many feel the neglect/who are the images to good to reflect?/who are the scorned deserving no human respect?